The popularity of on-demand services has resulted in more and more industries entering the fray. Among them is property management, which involves not just paying maintenance fees, but also a two-way communication between the management and residents. In the traditional setting, the limitation of office hours may make it rather inconvenient for residents to meet up with their building managers for any related issues. Likewise, building managers may find it somehow ineffective to disseminate information via the old school way — using notice boards. 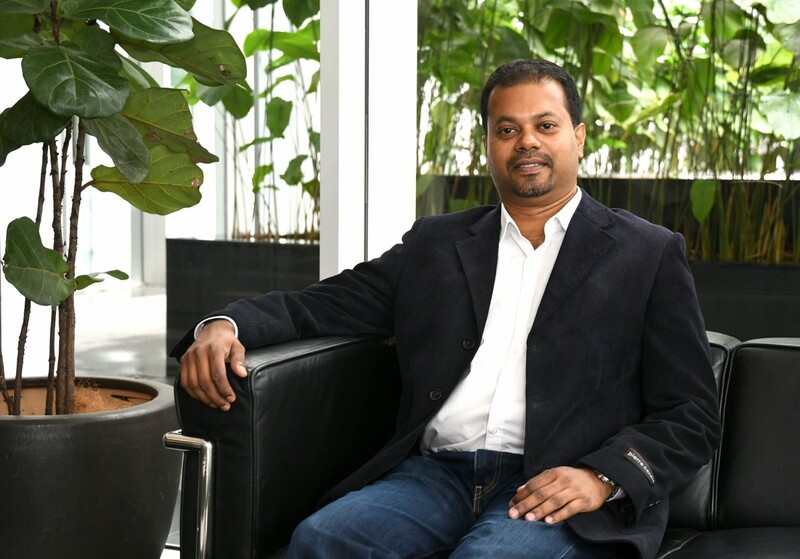 To increase productivity and efficiency of property management, The Residenz Solution Sdn Bhd has developed a web-based property management portal called iResidenz, which streamlines everything on a single digital platform, says founder and CEO Ramesh Balakrishnan. “iResidenz helps homeowners, tenants, resident committee members, management offices and property developers manage a strata development. “For owners, tenants and property management offices, communication is made easier where payments, bookings of facilities, complaints, notices and others are available on the platform, 24/7, virtually. So there’s no more calling up or having to be physically present at the management office to make facilities booking or lodge a complaint. “And for the management office, its paperwork is reduced through automation and they can also post up notices or contact any resident through iResidenz,” he tells EdgeProp.my. On top of that, making cashless payments on iResidenz could reduce the mishandling and mismanagement of funding as the funds will be credited directly into the management’s account, adds Ramesh. Prior to founding iResidenz, Ramesh was a web and software developer. The property management portal was one of his developments and he decided to expand it on a full scale. Targeting high-end properties, iResidenz is currently providing its service to 54 strata properties across Malaysia, with the majority of them being high-end properties located in the Klang Valley. The start-up is hoping to grow its client base to more than 100 properties by the end of this year. According to Ramesh, iResidenz has raised a total of seven-figure funding since its incorporation in May 2013. It recently raised a pre-series A funding earlier this March from Interbase Resources Sdn Bhd, the operator of online marketplace Lelong.my. On setting itself apart from similar players such as Landlord and Advelsoft, Ramesh says the most unique selling point of iResidenz is its freemium model. “iResidenz is provided at no cost or fee to properties. We also provide value-added services, which require a fee, such as doctor-on-call and service provider directory. “Our premium features include real-time dashboard reporting that allows committees to view the happenings at the management office and tenant management for property owners to better manage rental collection. We will soon roll out a visitor management system, which is a security module for the guards. “We are looking to introduce online food ordering and laundry pick-up and drop-off services starting September,” he says, adding that iResidenz will roll out its mobile application by the end of this month. On top of monetising the value-added services, Ramesh shares that iResidenz’s revenue model includes the “convenience fee” from its online payment facilities. “Our platform supports online banking and payment via credit or debit cards, where a minimal fee of RM3.18 onwards is charged for successful transactions. As of July 2017, over RM1 million worth of transactions have gone through our platform,” he shares.